Hypocenter depth recalculated from 544.0 to 538.0 km. 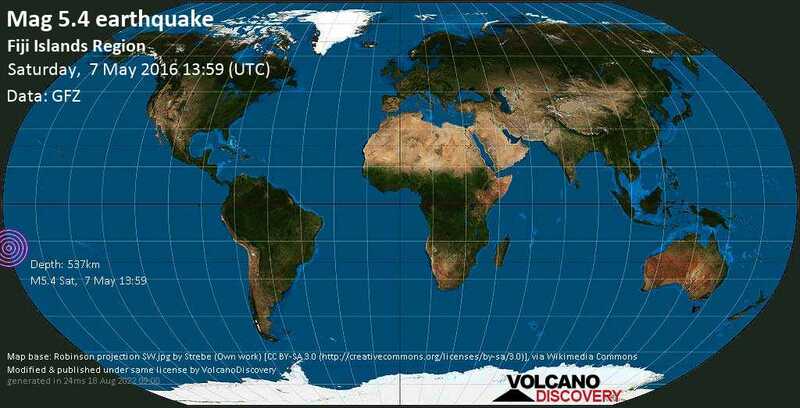 May 7 14:09: Magnitude recalculated from 5.3 to 5.4. Hypocenter depth recalculated from 538.0 to 539.0 km. Hypocenter depth recalculated from 539.0 to 543.0 km. Hypocenter depth recalculated from 543.0 to 535.0 km. Hypocenter depth recalculated from 535.0 to 537.0 km.